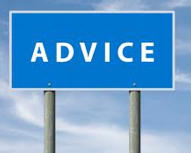 As a mom I sometimes feel as if I'm wearing a sign saying: 'Please, offer me advice!' Parenting experts, other moms, neighbours and strangers seem to consider mothers fair game when it comes to offering their unsolicited wisdom. So I was kind of flabbergasted when someone asked mé for advice! Me! The one people are always telling what she should do. The question for advice came from my younger sister, who's a succesfull career woman, running her own business. She recently took up running her own body down the streets, in the name of her health. She called me to ask me about her running program, and how to handle running in high temperatures. It felt lovely to help her out. I guess it's one of the perks of being a runner. Finally there's something I know a lot about! I love being a mom, but I certainly love my identity as a runner too! How do you feel about (unsolicited) advice, both as a mom and as a runner? I don't like getting or giving unsolicited advice. When people tell me what I should be doing I just close down - even if the advice is good. And that's why I don't give it. But if someone asks - well that's a different story.